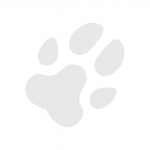 MiNightVet Wokingham is a small animal out of hours veterinary emergency service, welcoming small animals. We are based at Wokingham providing emergency overnight and weekend care to clients. Our service is also available to clients from other practices who have arranged this service. Please see the list below to find out if your veterinary practice can use our service. Paco graduated from Cordoba University, Spain in 1993 and has been performing small animal practice for the last 25 years. He started a business in 1995 in Malaga, southern Spain, that is still running and has been growing little by little. Paco firstly came to work in England in 2001 and spent three years as a OVS and working in small animal clinic in Bury St. Edmunds (Suffolk). He then returned to Spain and moved his practice to a better and larger location. In 2011 Paco started working as an OOH vet for South London Emergency Referral Clinic, commuting between Spain and the UK, doing at least one intensive weekend in the month. 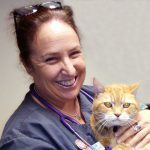 He joined Nine Mile Veterinary Hospital in November 2018 as OOH vet. His main interests are emergency and critical care work and also dermatology. Nerea graduated from the Complutense University of Madrid in 2007. After working several years with large animals in Spain, in 2013 she decided to start a new adventure in the UK. Nerea joined MiNightVet Wokingham in February 2018 after working in several small animal practices throughout the country. Her main interests are emergency and critical care and diagnostic imaging. In her spare time Nerea enjoys trekking, climbing and travelling. She lives with her boyfriend and little rescue dog, Fred. Lucy started her nursing career as a student in a CVS practice in Slough, and after qualifying in 2017 she took a senior role at a practice in Twyford. The opportunity then arose for her to follow her passion for emergency and critical care work by taking the head veterinary nurse position for the MiNightVet service at Nine Mile Veterinary Hospital, where she hopes to continue to develop as a nurse, complete her ECC certificate, and be able to offer excellent nursing care to all the patients. Prior to training as a nurse Lucy undertook a four year BSc (Hons) degree in equine sport science. In her spare time Lucy is normally riding one of her three horses, Soldier, Zazu or Enzo, or walking the dogs, Eviee and Remy. Allison is our Australian veterinary nurse. Her last job in Australia was at the RSPCA where she worked for over seven years and fostered over 100 animals. She left Australia in December 2012 to work in the Middle East for 18 months before coming to the UK. She loves medical nursing and rehabilitation. After locuming at a couple of different practices she decided to settle in Berkshire and has been with MiNightVet since 2014. She sat for her OSCE’S and passed with flying colours to become a RVN. She is owned by many rescue animals: Onslow, a Saluki cross; Chewbacca, a Griffon cross; Bobsy the ginger cat who has travelled with her since she left Australia; Kismet, a recent rescue – an extremely old cat with health issues that was brought in as a stray. Also Ralphina the pigeon who she hand reared from the age of two days and Star-Lord, her rescue Syrian hamster. In her spare time, Allison enjoys photography, travelling and reading. Katie qualified in August 2018 and has been working in a busy hospital in Slough for the last four years while studying. She has a keen interest in emergency and critical care nursing and plans to study for her certificate in the future. She has a Cockapoo called Freddie Mercury and two cats, Tabs and Fenrir Greyback. In her spare time she likes to spend time with her son, and read crime novels. 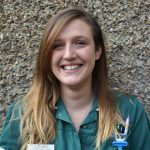 Louise qualified as an RVN in 2007 and has been working as part of the Nine Mile team in various practices ever since. She began her emergency and critical care career in 2010 with MiNightVet and thoroughly enjoys the inpatient nursing and dealing with critical cases coming into practice. In her spare time Louise is kept busy with her three children, and also enjoys running. She trained hard in 2017/18 to complete the Brighton marathon!